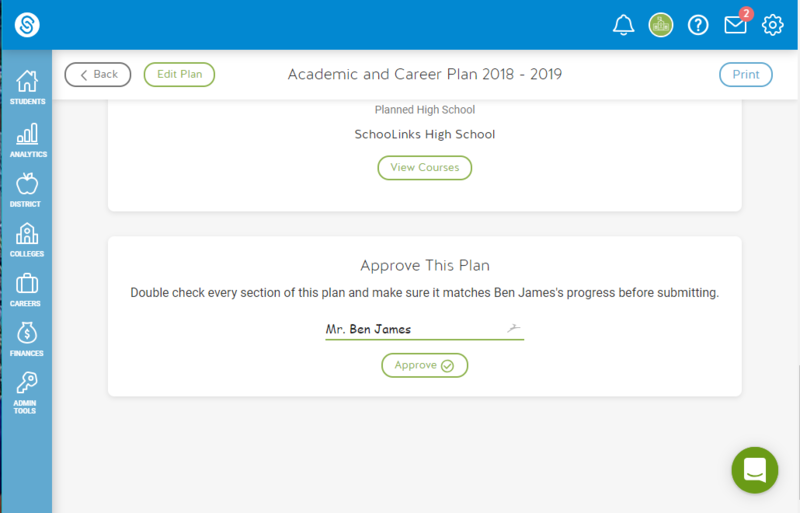 If the student has not submitted their Personalized Plan, counselors can do that for them. Learn more here. Type your name to sign the Personalized Plan.